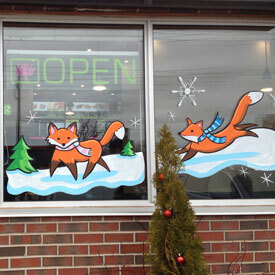 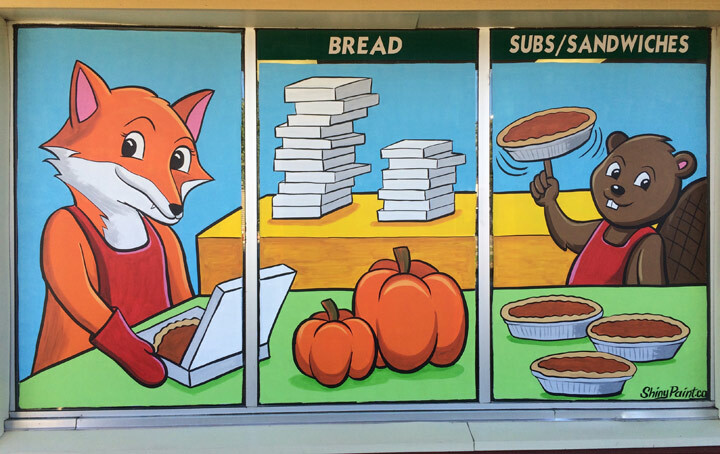 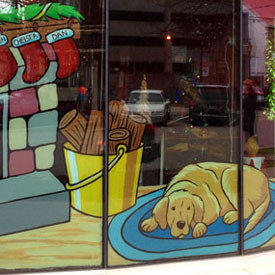 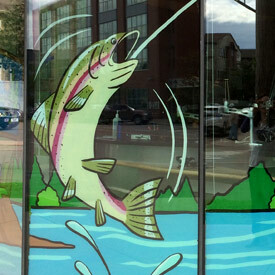 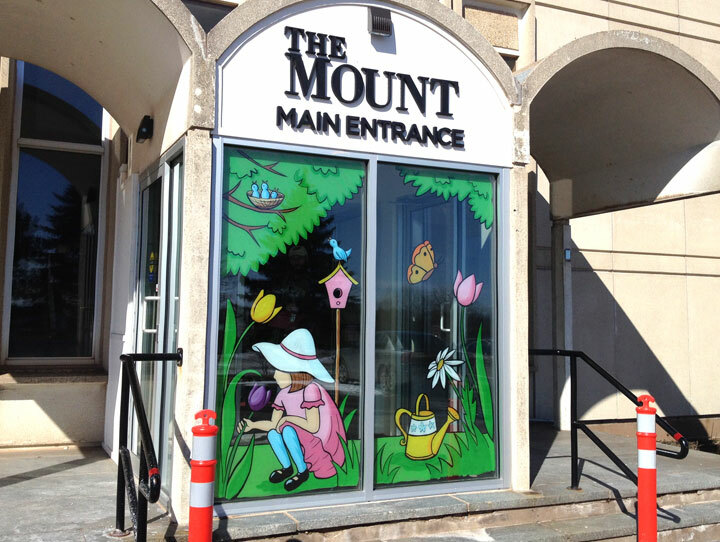 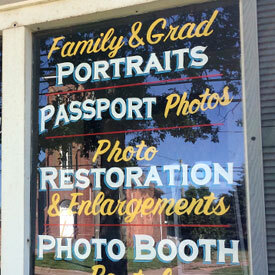 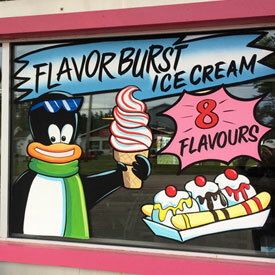 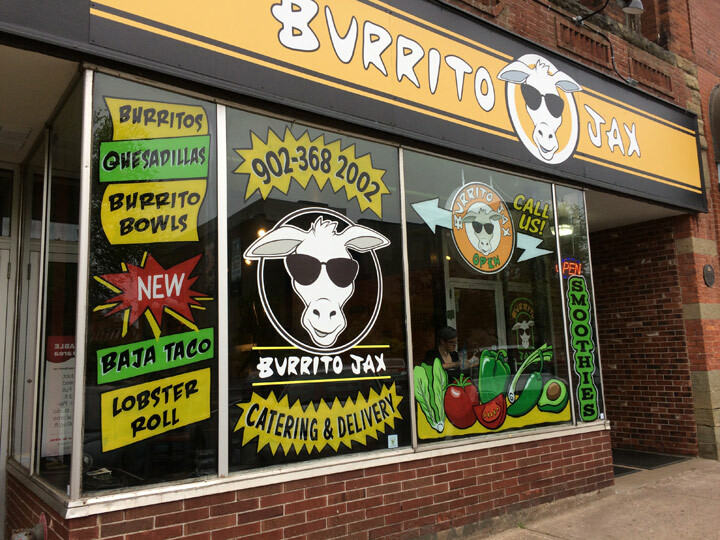 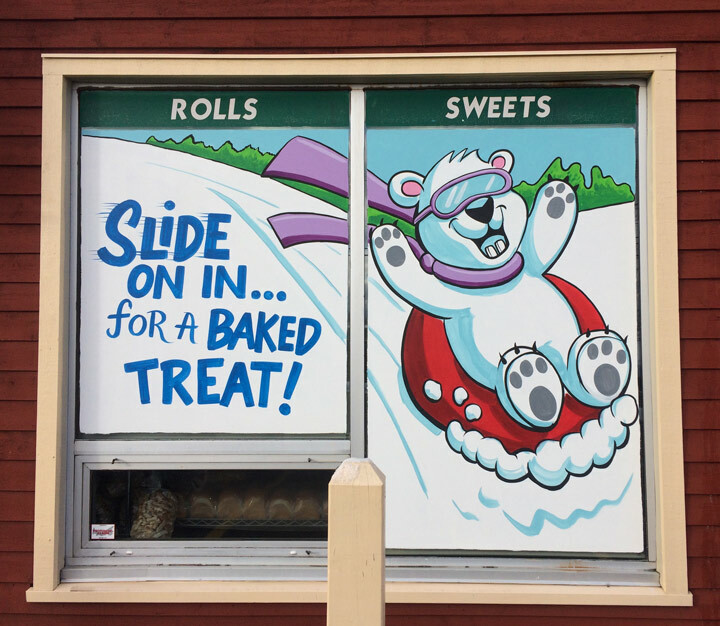 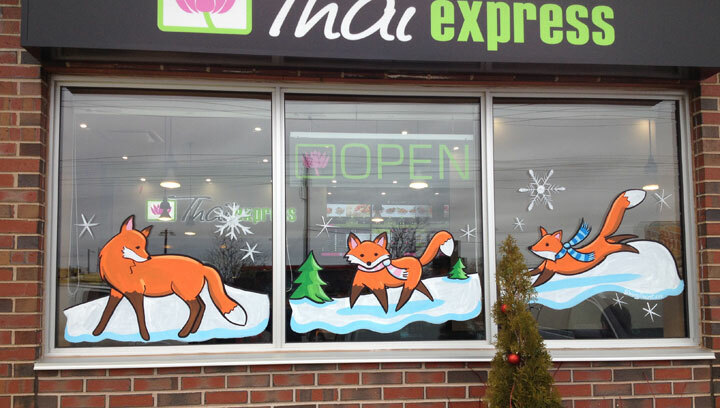 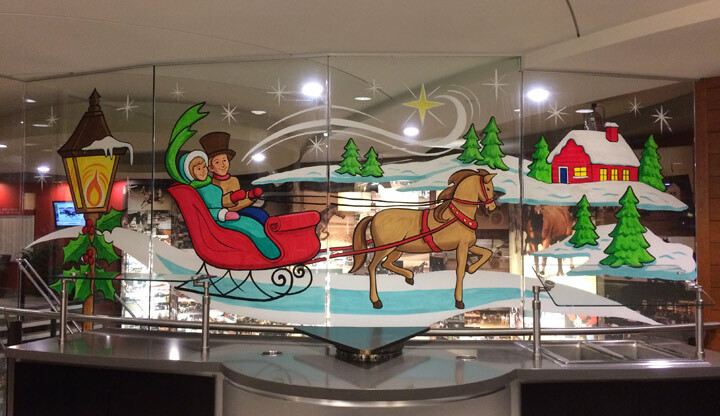 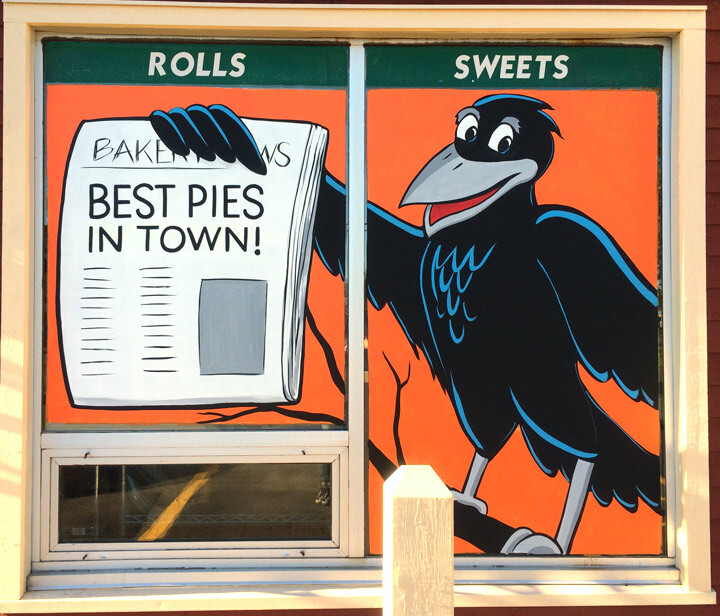 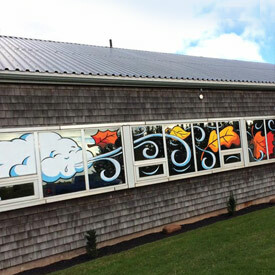 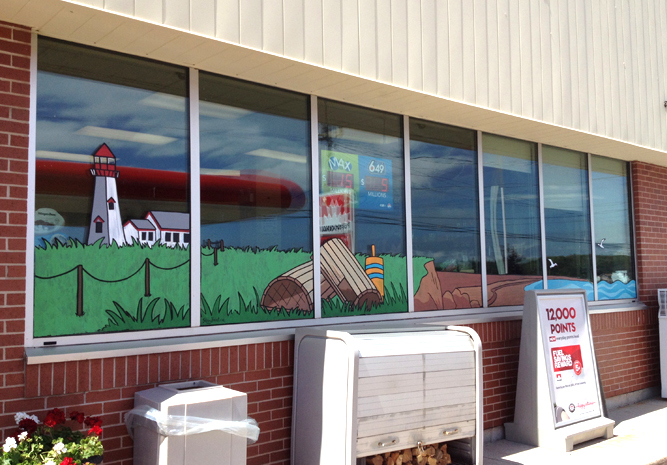 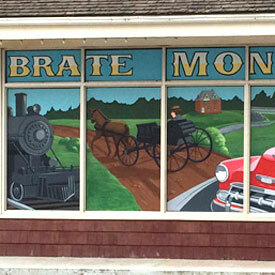 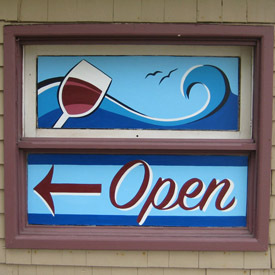 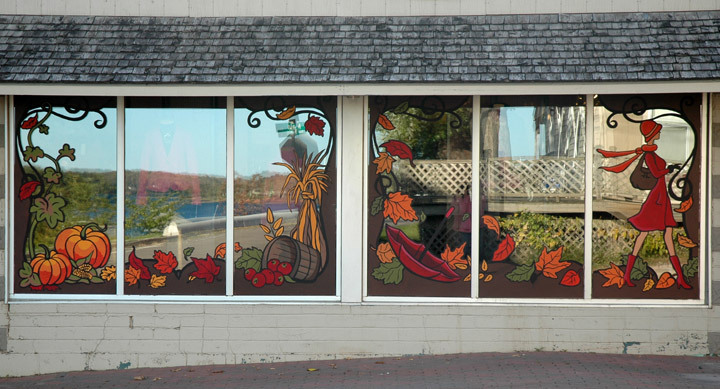 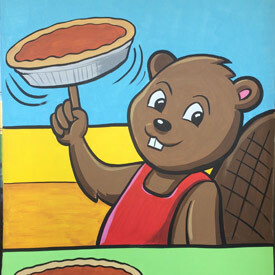 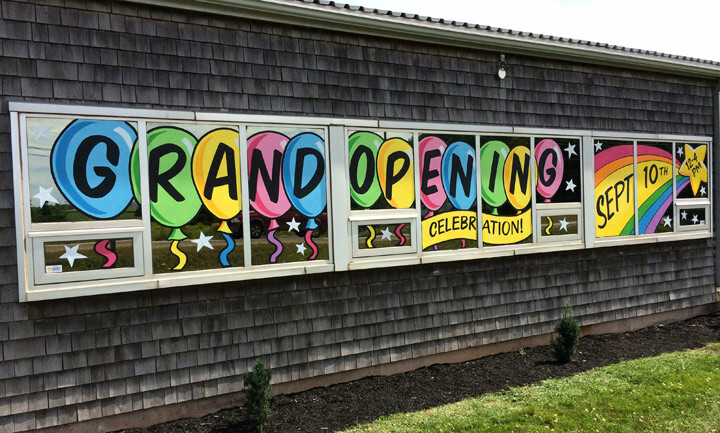 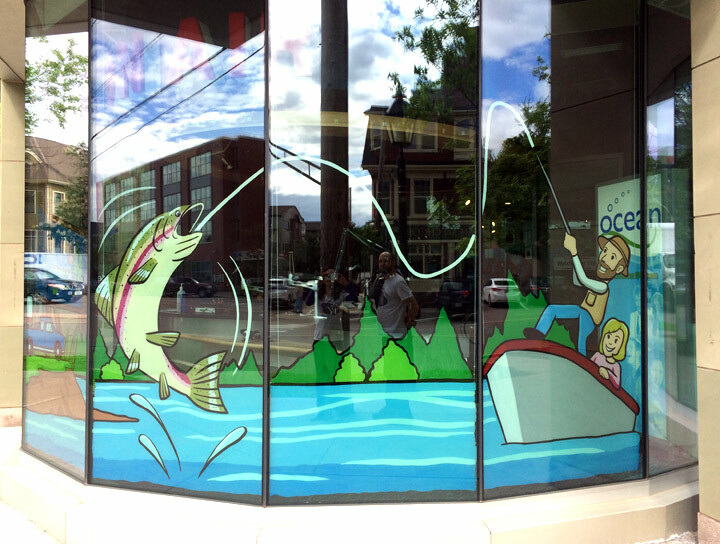 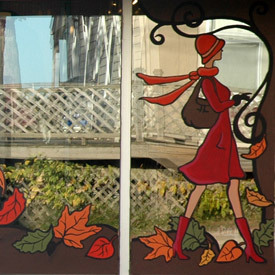 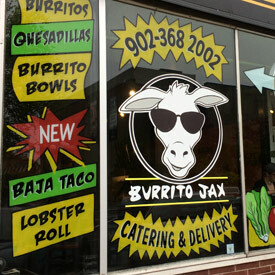 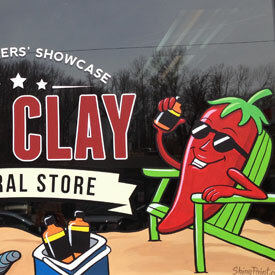 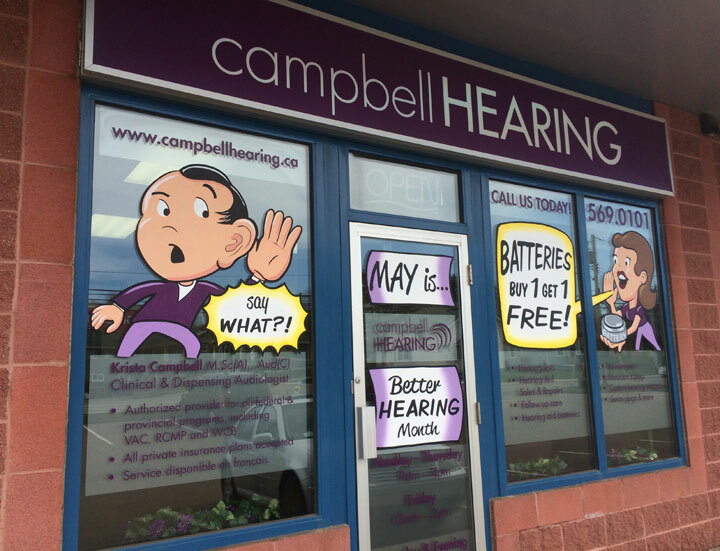 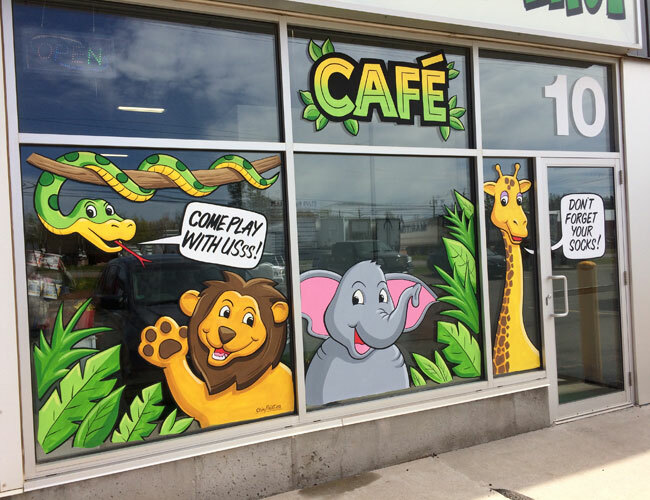 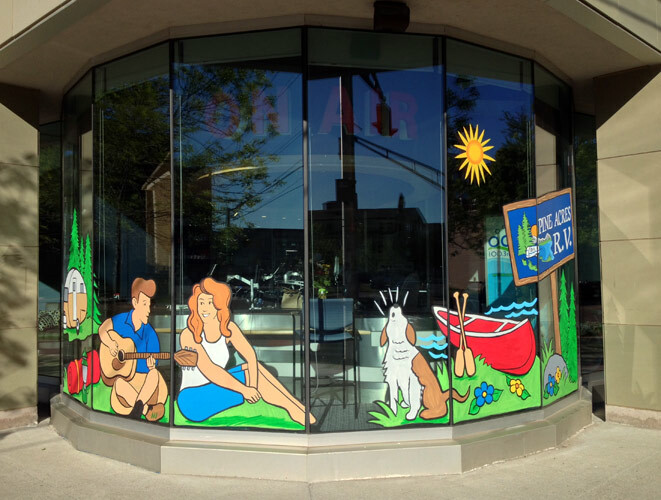 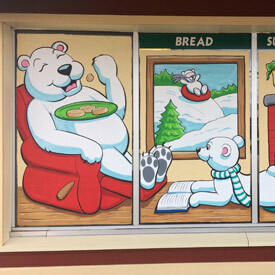 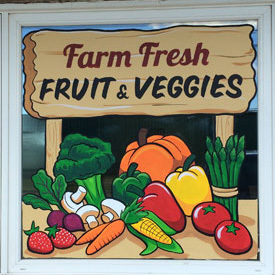 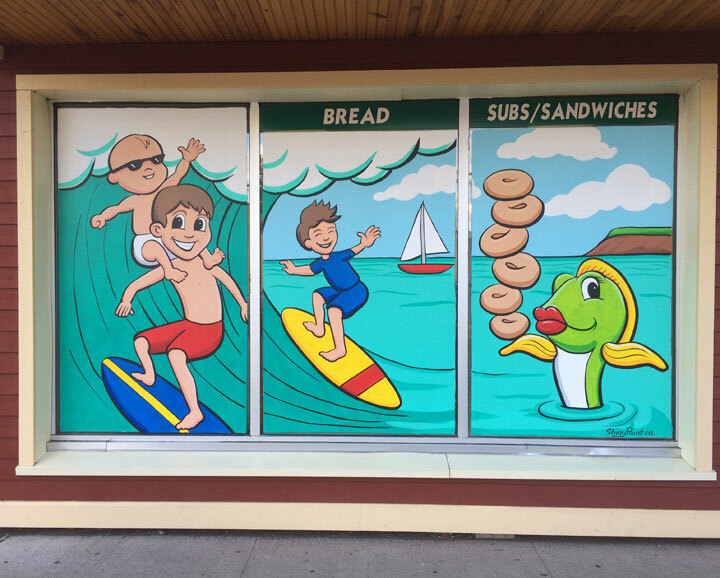 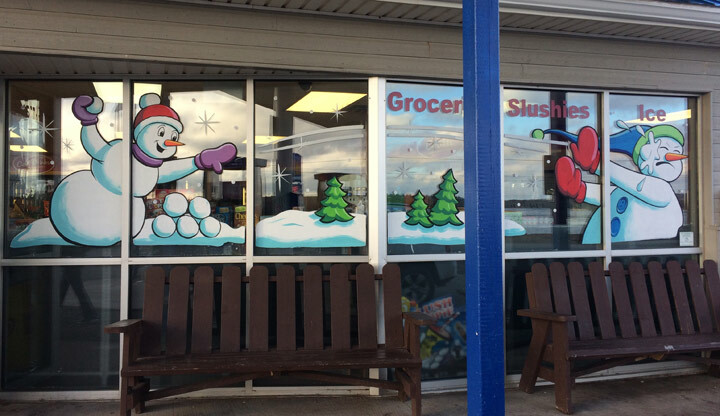 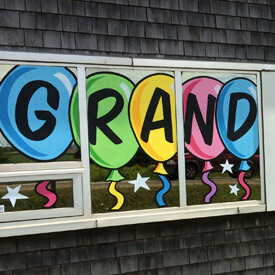 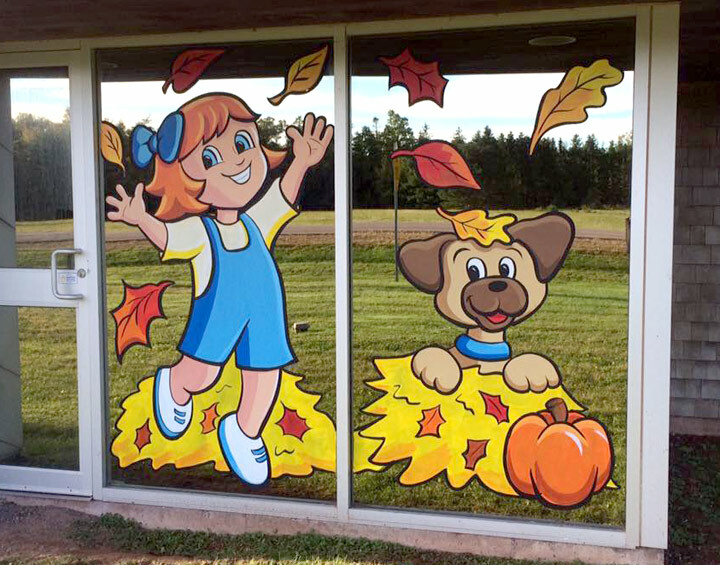 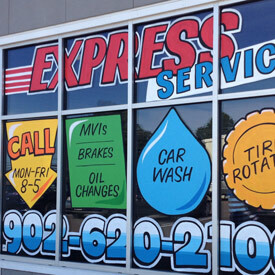 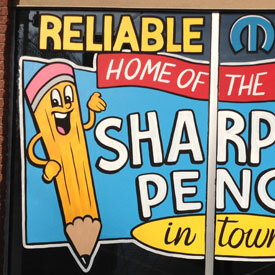 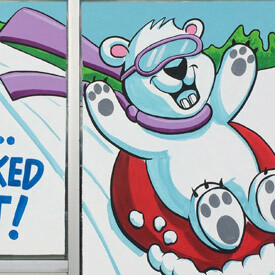 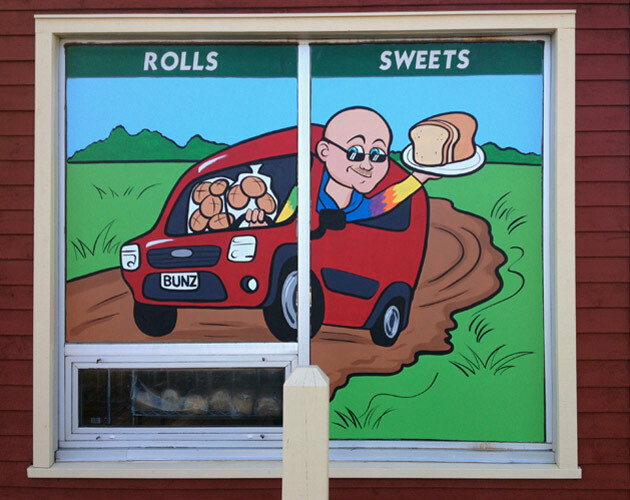 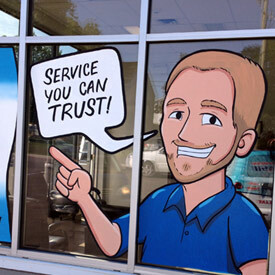 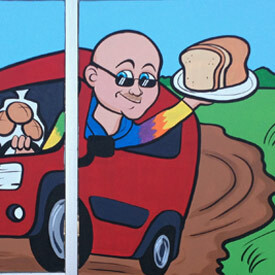 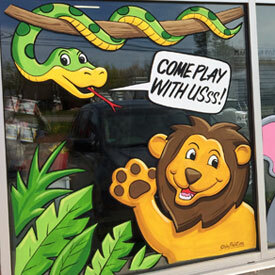 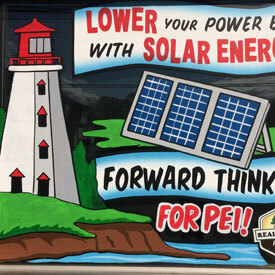 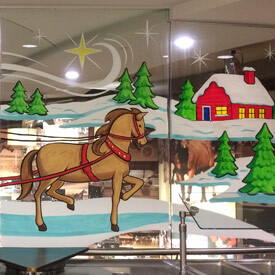 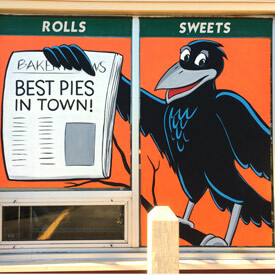 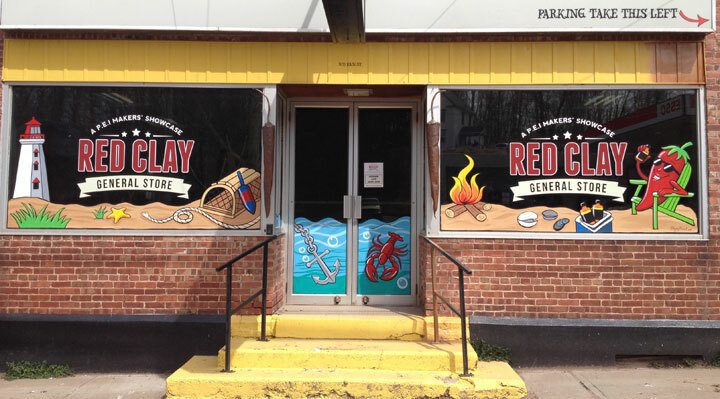 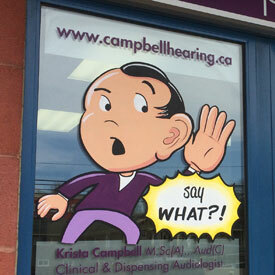 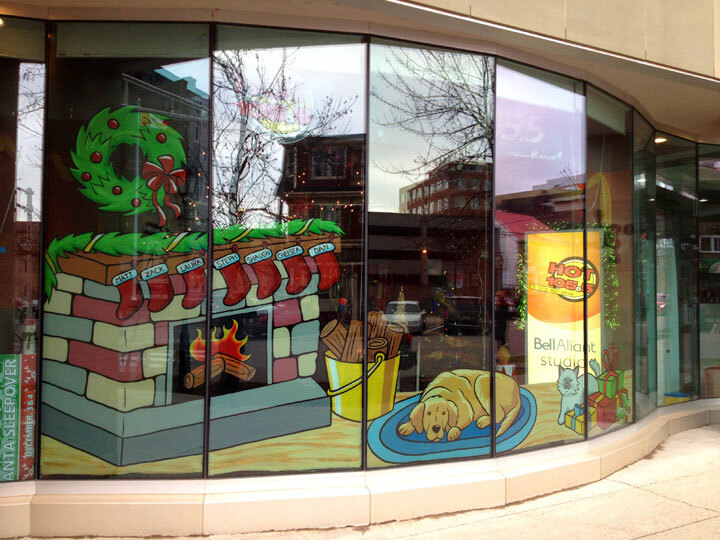 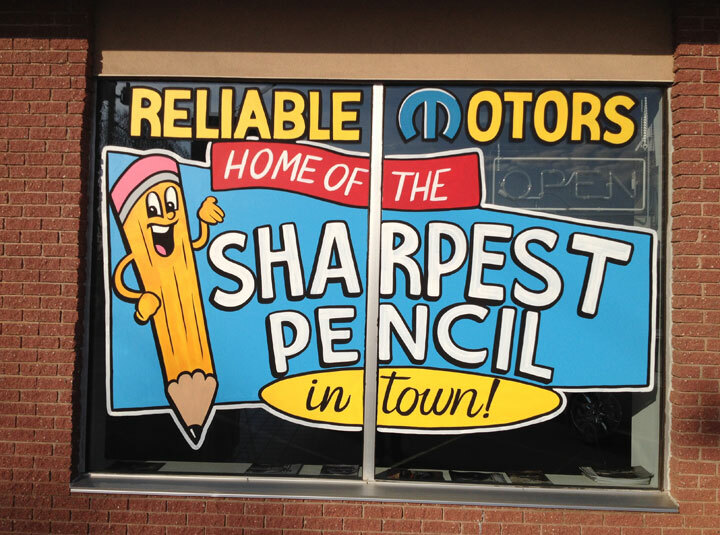 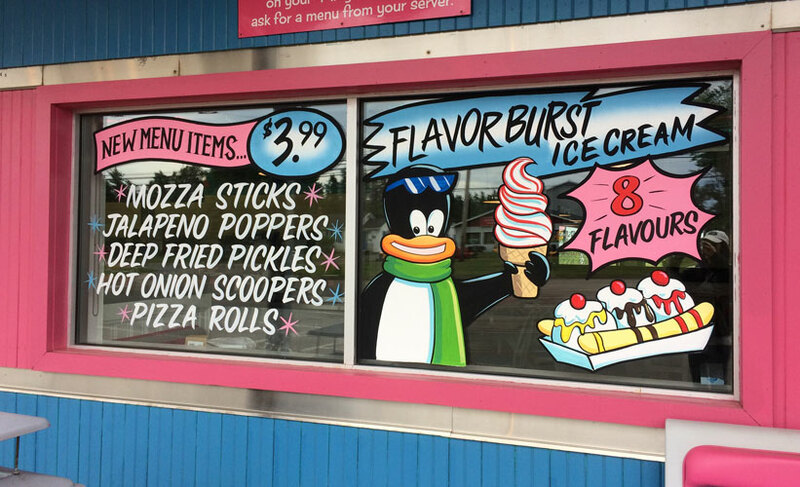 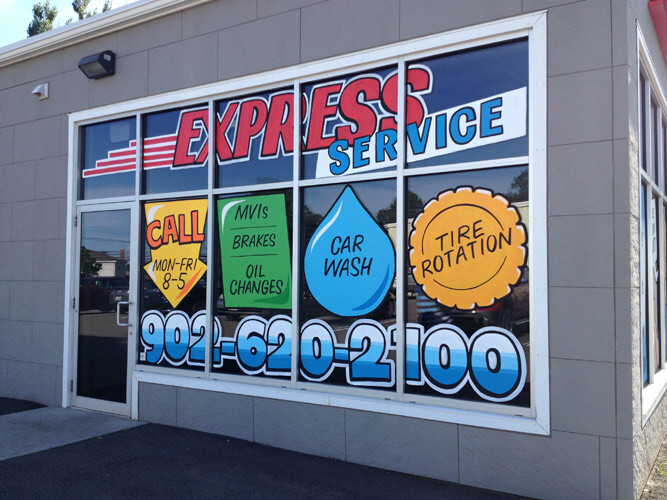 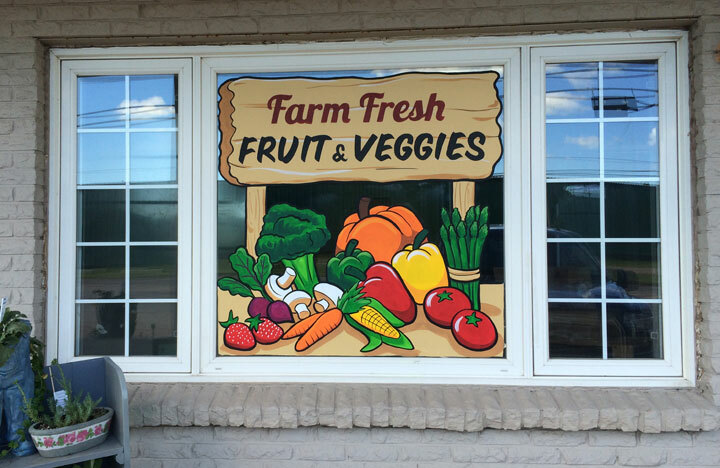 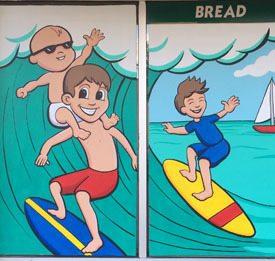 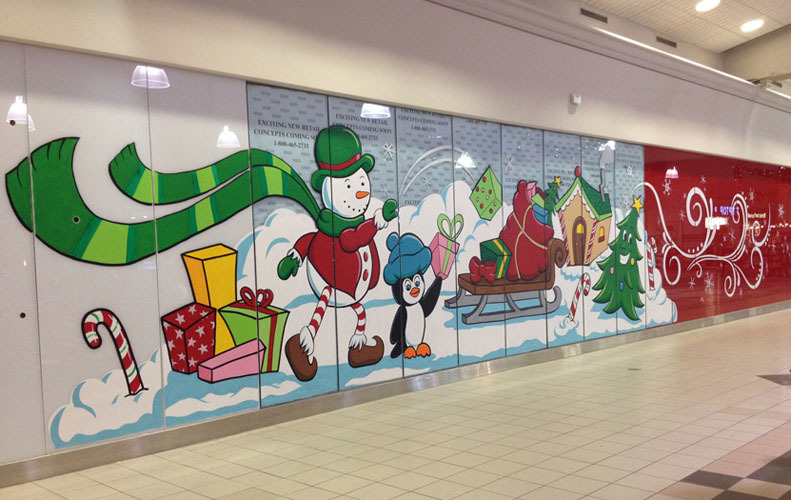 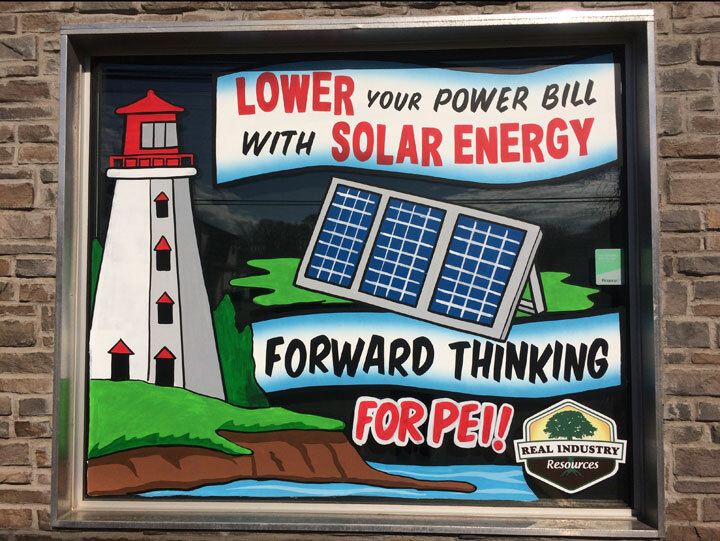 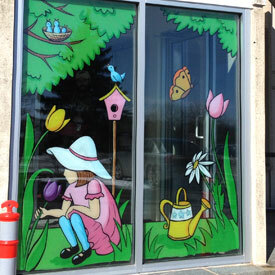 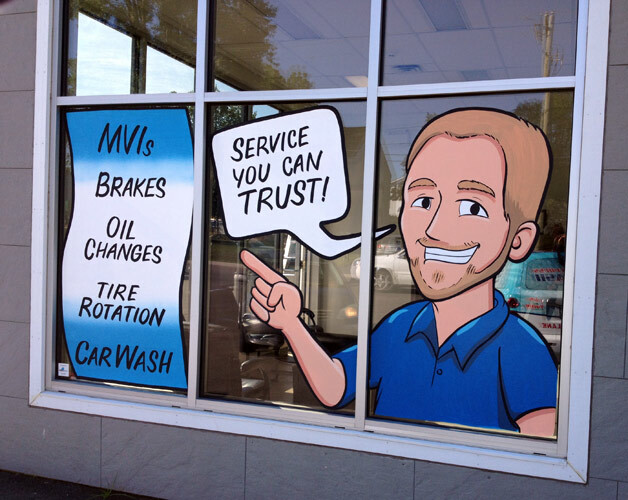 We can make your windows come alive with bold imagery, custom designed for your business! 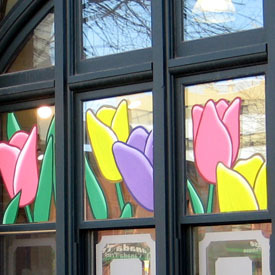 Painting is an inexpensive and eye-catching way to use and transform your windows. 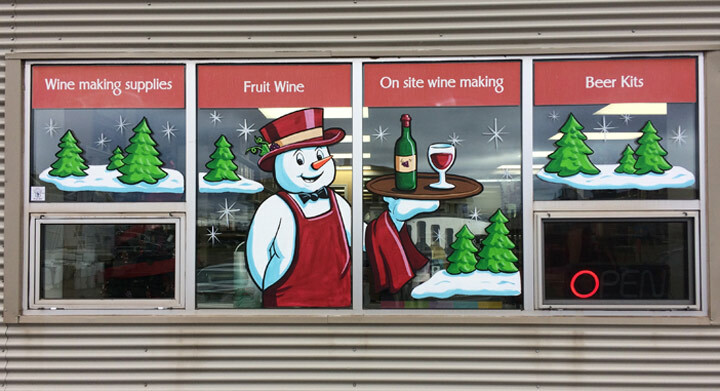 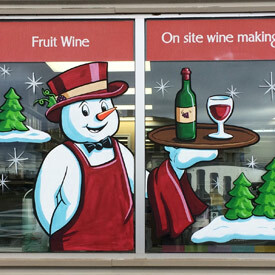 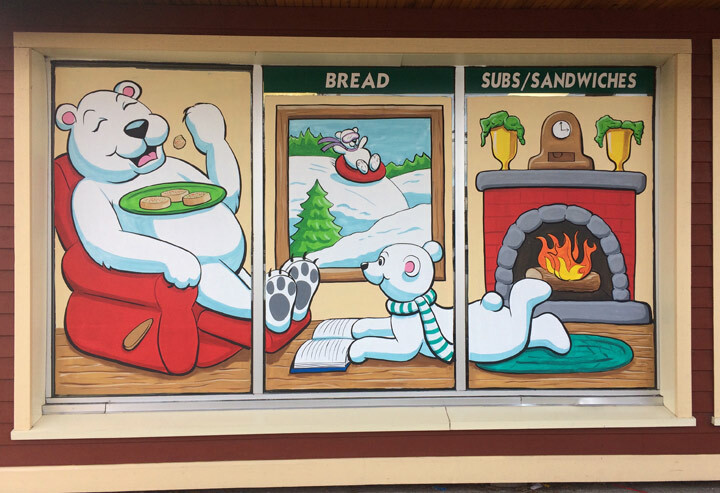 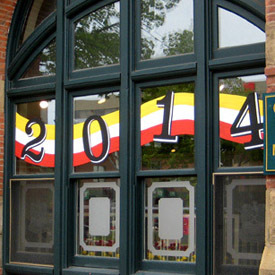 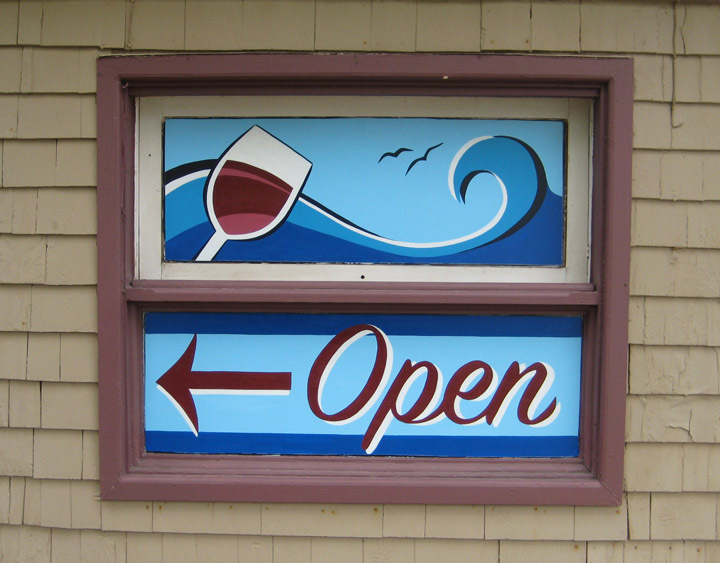 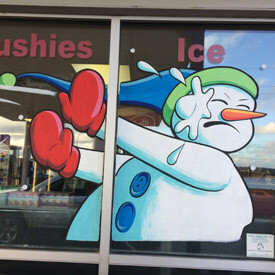 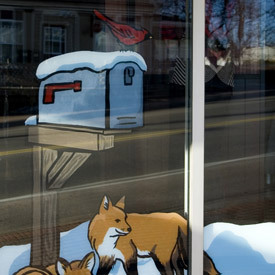 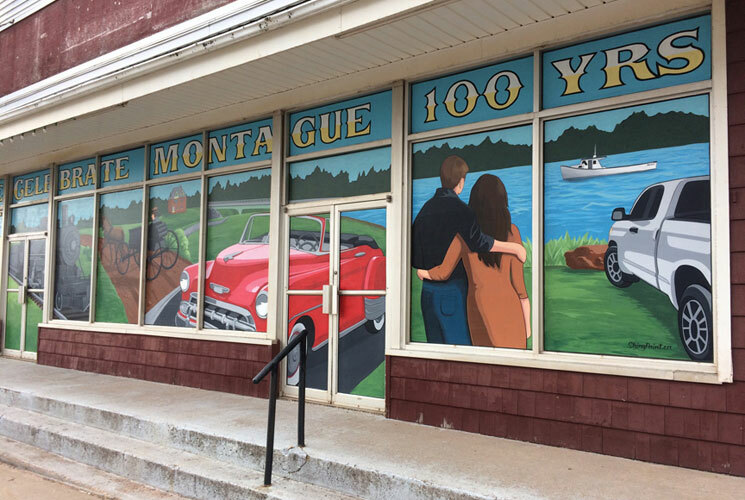 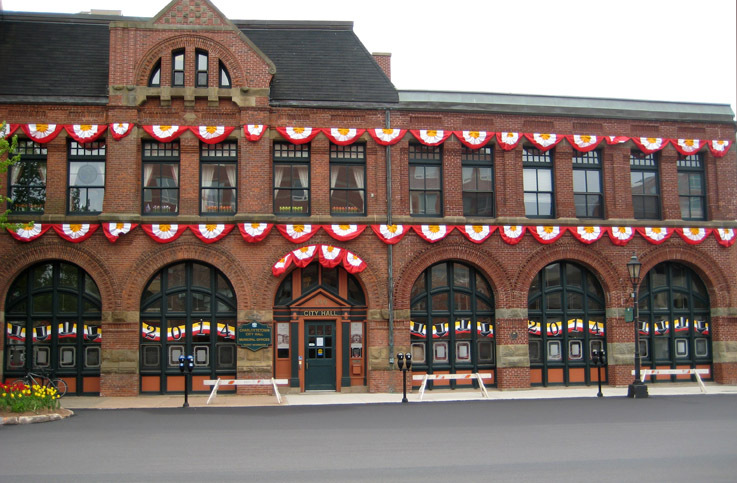 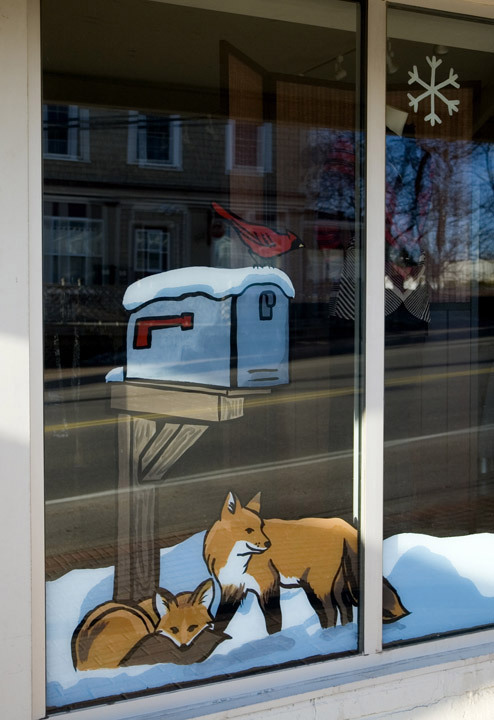 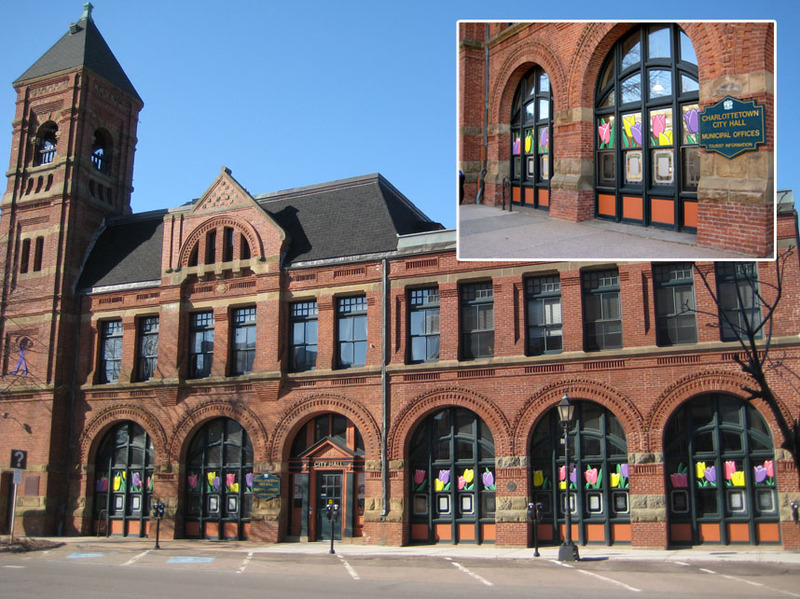 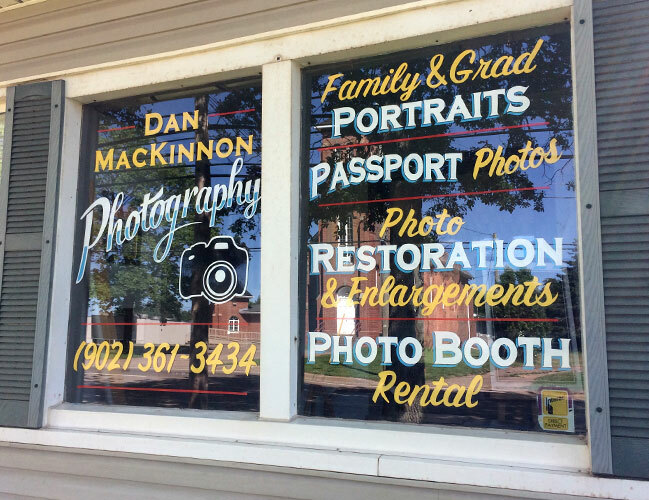 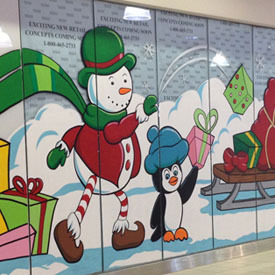 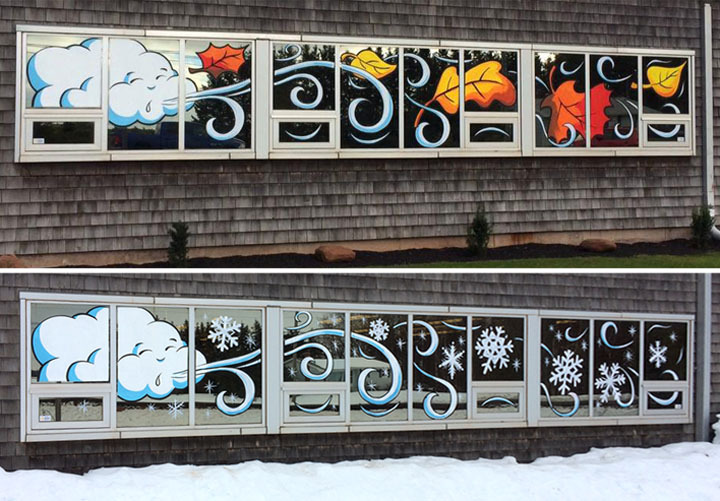 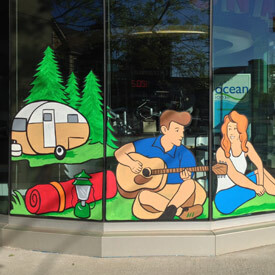 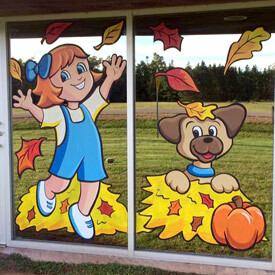 Attract attention to your storefront - Celebrate seasons - Advertise a promotion - Provide privacy within - There are many reasons to use your windows instead of just washing them! 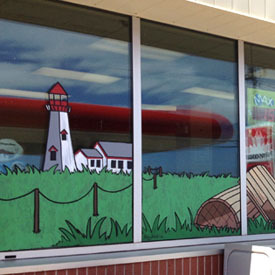 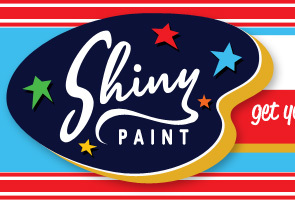 We paint on the outside or the inside of windows with a paint that is durable, but also easy to remove.